Galaxy S Gets Gingerbread! Netflix Working on Most Androids! Honeycomb is Gingerbread? Tons and TONS of Android-related news this week, so much so that it took an entirely separate video! To view the video or see all the links to the stories mentioned, click the “Read More” option below. Meego 1.2? Gnome 3 Could Go Linux Only? Virtualbox Works With Gnome Shell! 0 a.d. Updated! 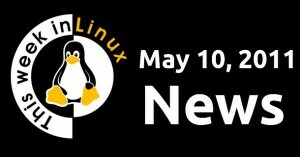 Such a bit week in Linux news! Ubuntu Developer Summit, Google I/O, Netflix releasing all sorts of information… just a wonderful week! (And it was my birthday and wedding anniversary this week) Click “Read More” to see the video and the links to all the stories mentioned. Microsoft Buys Skype for $8.5Bn — What does it mean for Linux users? So what do you think is going to happen to us? Leave me a comment below. Click “Read More” to view the video for more information. Adobe Says No Creative Suite for Linux? Linux Returns to PS3! Nvidia Optimus Unofficial Linux Support, DX Gingerbread! It’s a bit of a short Linux news week, but that’s a good thing! Spend some time with your mother! Click “Read More” to see the video and the links to all the stories mentioned.